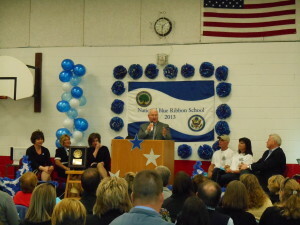 Garfield Elementary School celebrated in Spring 2014 as the recipient of the Blue Ribbon Award. See Letter from Secretary of Education. The City of Garfield is home to Garfield Elementary School. Parents and citizens in Douglas County take pride in the quality education their students receive. There are many quality programs managed by great teachers, staff, and administration. 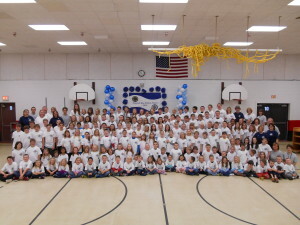 Garfield Elementary School is in School District #206. Garfield Elementary is a K-6 grade school with approximately 160 students per year. Garfield Elementary staff members nurture students in an open, family atmosphere, which stresses a caring and giving educational experience. We have strong parental support for both the students and staff. We are small enough to be a family, yet large enough to provide many exciting educational opportunities! Some of the special programs we offer students include: targeted services for students needing extra help; Junior Achievement, which ties school curriculum with the “real world;” Math Masters and Quest to challenge high achieving students; Big Brother/Big Sister, which pairs older students with younger students to create our family atmosphere; plus many other educational opportunities. 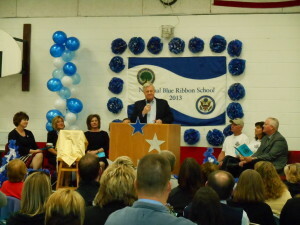 More information about Garfield Elementary and other schools in the district can be found on the District #206 website. Another excellent resource in the Garfield area for post-secondary education is Alexandria Technical & Community College. The school provides a great learning experience for high school graduates, enrolling many in the area. Alexandria Technical College also draws in many students from a large geographic area outside Douglas County. Alexandria Technical College is highly accredited and also maintains a terrific job placement rate.